New York’s first online poker bill of 2017 has passed its initial committee vote by a unanimous 11-0 tally late on Tuesday. Senate Bill 3898 (S3898), introduced by NY State Sen. John Bonacic late last month, encountered no opposition as it sailed through the Senate’s Committee on Racing, Gaming and Wagering with little fanfare. The bill now moves on to the state Senate’s Committee on Finance, where it is likely to receive a similar up vote as it moves closer to a full Senate review. The previous version of Bonacic’s measure also cleared its initial committee vote unanimously before eventually moving on to its own full Senate vote. 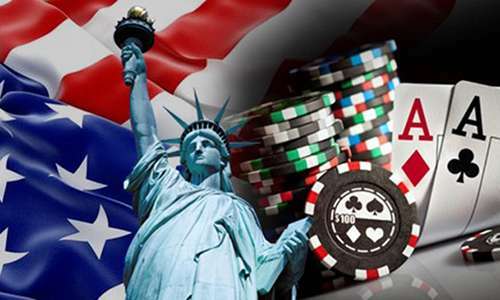 When that bill, last session’s S5302 measure, easily passed by a 53-5 margin last June, it appeared that New York might soon become the fourth US state to formally authorize and regulate online poker. That eventually didn’t happen, due to a curious reversal of support on a near-identical companion bill in the state’s Assembly, when that bill’s primary sponsor. State Rep. Gary Pretlow, yanked it from consideration. Pretlow is back in New York’s online-poker picture this year, and his Assembly version of Bonacic’s bill is identical, rather than just being nearly so. Should neither of the bills be amended in the meantime and should both the Senate and Assembly bills pass this year, then the bill could indeed become law. Note that similar to 2016, the Assembly (Pretlow) version of the online-poker bill is expected to lag behind the Senate measure in passing through its chamber. Pretlow’s Assembly version has yet to receive any committee hearings or votes to date. Pretlow’s Assembly bill, A5250, currently resides in the Assembly’s own Racing and Wagering committee, that chamber’s companion committee. One additional factor favoring possible passage this year is that the online-poker bills are no longer caught up in the maelstrom surrounding daily fantasy sports (DFS). DFS legalization concerns rose front and center following a high-profile lawsuit brought by NY Attorney General Eric T. Schneiderman in late 2015, and the wrangling on that topic dominated all “gambling expansion” talk in New York for much of last year. With the DFS issues now resolved — that activity is now state-authorized and licensed — attention now returns to online gambling. State legislators have closely monitored activities in nearby New Jersey and Delaware, two states that have already legalized online gambling, as well as parallel legislative pushes in neighboring Pennsylvania. While Pennsylvania might remain the favorite to become the next US state to legalize online poker, New York isn’t far behind. A New York breakthrough would also significantly change the US market in terms of player accessibility to online market. 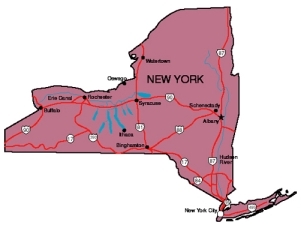 New York’s population of just under 19 million ranks fourth in the US, and that 19 million alone is larger by half than the combined populations of the three US states that have already legalized online poker. Together, the populations of New Jersey, Nevada and Delaware add up to less than 13 million. Add in Pennsylvania, another populous state of more than 12 million, and its easy to see how important the two states’ movement forward on online poker will turn out to be.